Series telling the story of capital punishment through the eyes of young people whose lives have been shaped by it. With unprecedented access inside prison walls, it discovers what it's like to live with the threat of the death chamber, as well as hearing from victims and their families and the family of those on death row - some praying for execution, some hoping for a reprieve. Each episode focuses on a key aspect of the system - execution, trial and appeal. 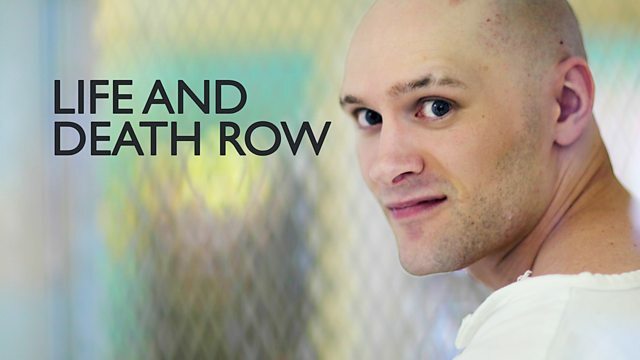 For two of the youngest men on death row in Texas, execution day has arrived. Victim Nikki Daniels reflects on her kidnapping ordeal by murderer Richard Cobb and battles with her conflicting desires to forgive him, while the mother of death row inmate Anthony Haynes fights to use the final 72 hours to halt her son's execution for the murder of a police officer. Gob-smacking documentaries from BBC Three. Prepare to be astonished. Topical documentaries and challenging dramas exploring crime, policing, and punishment.